Centeris culture is grounded by its 100% ownership by The Benaroya Company. For more than 60 years the Benaroya name has been synonymous with integrity, excellence and financial strength in the vibrant Pacific Northwest. Centeris provides data center solutions for mission critical IT applications and systems infrastructure. 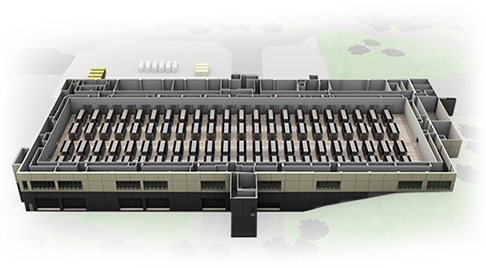 One of the largest available power ready facilities in the U.S., Centeris’ SH1 Data Center offers the right combination of capacity, sustainable power and connectivity. Centeris offers fast, secure hyper-scalable solutions at our 86 acre private, South Hill campus near Seattle. 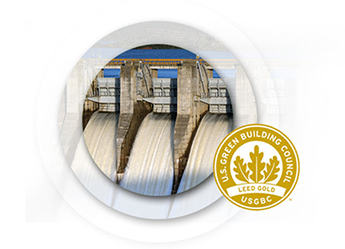 Our LEED Gold facility's cooling system utilizes 100% outside air and takes advantage of the region's renewable power sources. Strong multi-carrier relationships provide reliable, high speed connectivity while point to point dark fiber to the Westin Building Exchange greatly expand your connectivity options. Centeris is all you would expect from a full service data center, bolstered by flexible, personalized service inspiring the highest level of trust. Larry serves as Principal of The Benaroya Company which owns Centeris. More than 40 years as a respected leader in the Pacific Northwest real estate industry establishes his gravitas as both strategic planner and overseer of daily management. With over 20 years investing in and building private market growth businesses, Simon contributes consulting services driving Centeris’s engagement in information technology and data communications. Dave’s three decades of experience in property and construction management align with Centeris’s owner/management philosophy. Jim contributes expertise and leadership to all aspects of data center management; over 30 years as data center manager for the University of Washington and the Washington State Department of Information Services. The operations team at Centeris consists of an integrated group of highly experienced engineers and technicians. The measure of what they bring to our Puyallup campus spans their deep experience in the technology industry and the experiences earned by serving our country in various branches of the military. ScaleMatrix Launches Next DDC Enabled, Future-Proof Datacenter in Seattle.